Vlad Taltos, a mobster and assassin in the magical metropolis of Adrilankha, is given the largest contract of his career, but the job is even more complicated than he expects. Khaavren of the House of Tiassa is a son of landless nobility, possessor of a good sword and “tolerably well-acquainted with its use.” Along with three loyal friends, he enthusiastically seeks out danger and excitement. But in a realm renowned for repartee and betrayals, where power is as mutable as magic, a young man like Khaavren, newly come from the countryside, had best be wary. His life depends on it. And so does the future of Draegara. Donovan was shot by a cop. Four of the nine shots were lethal or would have been, if their target had been anybody else. The Foundation picked him up, brought him back, and trained him further. “Lethal” turns out to be a relative term when magic is involved. When Marci was 15, she levitated a paperweight and threw it at a guy she didn't like. The Foundation scooped her up for training too. “Hippie chick” Susan got well into her Foundation training before they told her about the magic, but she's as powerful as Donovan and Marci now. 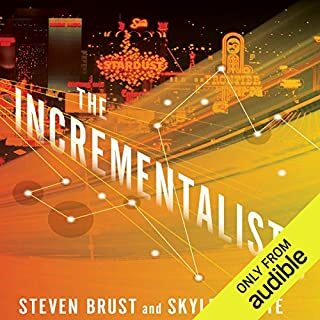 The Incrementalists - a secret society of 200 people with an unbroken lineage reaching back 40,000 years. They cheat death, share lives and memories, and communicate with one another across nations, races, and time. They have an epic history, an almost magical memory, and a very modest mission: to make the world better, just a little bit at a time. Their ongoing argument about how to do this is older than most of their individual memories. Phil, whose personality has stayed stable through more incarnations than anyone else’s, has loved Celeste - and argued with her - for most of the last 400 years. Enjoyable/creative. Not a grand historical vista. A cosmic accident sets the modern town of Grantville, West Virginia, down in war-torn 17th-century Europe and a new nation is forged. Now when United States of Europe ally King Gustavas of Sweden invades Poland, the U.S. of E. is dragged into a full-scale European war against ruthless opponents. Meanwhile Mike Stearns, wily and courageous leader of the up-time West Virginians, has been turned out of office in an election. But, like Churchill (before and after him) Stearns is not done yet. 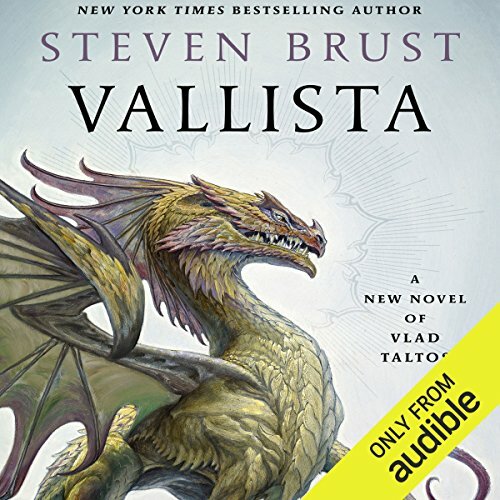 Full of swordplay, peril, and swashbuckling flair, Steven Brust's Vallista is a treat for longtime fans of this popular fantasy series, a deep dive into the mysteries of Dragaera and all within it. Vlad Taltos is an Easterner - an underprivileged human in an empire of tall, powerful, long-lived Dragaerans. 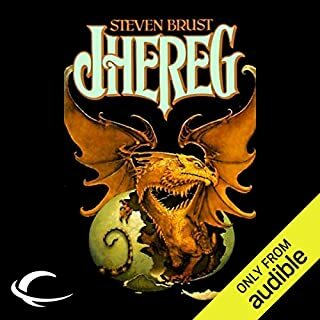 He made a career for himself in House Jhereg, the Dragaeran clan in charge of the empire's organized crime. But the day came when the Jhereg wanted Vlad dead, and he's been on the run ever since. He has plenty of friends among the Dragaeran highborn, including an undead wizard and a god or two. But as long as the Jhereg have a price on his head, Vlad's life is...messy. Meanwhile, for years, Vlad's path has been repeatedly crossed by Devera, a small Dragaeran girl of indeterminate powers who turns up at the oddest moments in his life. 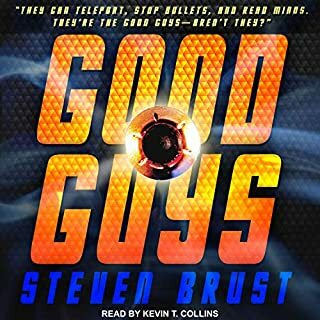 ©2017 Steven Brust (P)2017 Audible, Inc.
this was another great sorry about Vlad, and one that kept me thinking. It was fun, funny, and had a very satisfying ending. What more can ya ask for? I truly wish all audiobooks were as enjoyable as this. I found myself looking forward to my hour commute everyday just to listen. One of my favorite Vlad books, this is on a smaller scale than Brust's recent works, which is refreshing. Lots of backstory and intrigue with good doses of humor and the continuing evolution of both Vlad and the Empire. it's a breath of gothic sea air. 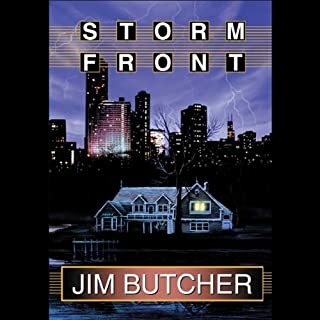 As always, fantastic reading and an excellent pace from the narrator. I have been looking forward to the next instalment of this series for time. Excellent book! Everything I wanted and more. A little slower paced than most of the series, but still all the Vlad fun you want. This story was very different from the previous Vlad Taltos novels which is not a bad thing. I liked it. The writing is good, Brust had long ago mastered the basics of the art. I am just disappointed that this book is so isolated. If it does move the arc along it's opaque to me. So, is he going to clean up the rotten spots, or just stay hiding behind his amulets? 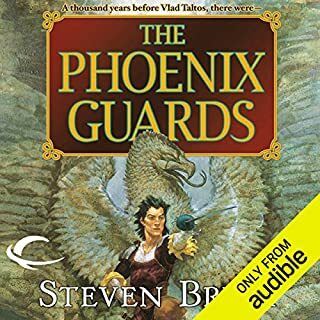 I knew i wouldn't like audiobooks, but for the most part, this performer wasn't too bad, except for how unforgivably he portrayed the psionic voice of my favorite familiar as the offspring of Tattoo from Fantasy Island and Peter Lorre!!! I'm sure it's because of the way Loiosh refers to Vlad as "Boss" that Mr. Clark thought of Tattoo and Peter Lorre, but i kept expecting him to yell, "De plane, de plane!" Also, there was something about the way he portrayed females that made me feel uncomfortable. But otherwise, the way he voiced Vlad and the rest was not too bad at all.